Most births are successful and without incident. Sadly, however, nearly 3 in 100 children suffer a Michigan birth injury. When the above complications arise, doctors may choose to use tools, such as forceps or vacuum extractors, to speed up the delivery and pull the baby out safely. However, doctors must use these instruments with extreme caution to prevent severe injuries to the baby. The long-term effect of these vacuum extraction vaginal delivery injuries can be significant, hampering the physical and mental development of your child, and making life difficult for your entire family. The effects of the misuse of vacuum extraction can haunt your child for the rest of his or her life. If your family has been affected by a birth injury caused by a negligent medical professional, it is only fair that you receive compensation for your additional bills and complications. 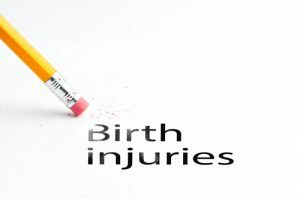 Call the Michigan birth injury attorneys of the Thurswell Law Firm to learn more about your legal rights today. Call toll free (866)-354-5544 to request a free consultation about your case.